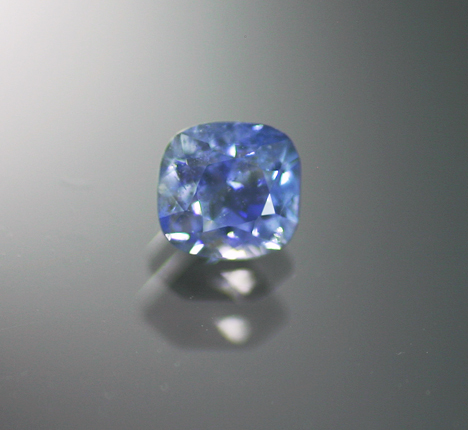 One of the most exciting recent finds in the gem world is a small find of full gem grade Dumortierite in Madagascar. What is more, the color is superb - a saturated and bright cornflower violet blue. We saw a few stones of this exceptional material in Tucson this year and present a beauty here - bright and well cut. Additionally, the stone is eye clean and has only just a few tiny crystals under 10x - an almost unprecedented quality for this rare material. Gorgeous and exceptionally rare. 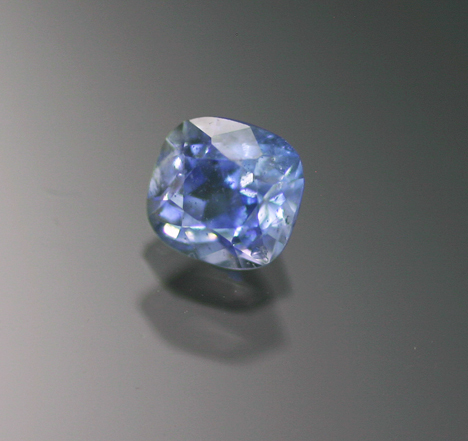 Transparent, gem grade Dumortierite is an extreme rarity in the marketplace. Small opaque pieces are sometimes encountered, but those transparent examples are exceptionally hard to source, particularly with an attractive color. For years we have been limited to very small stones from the Brazilian state of Bahia. It has always been in demand as the color can be quite lovely and it is unusually durable (8 on the Moh's scale) for a rare gem material.